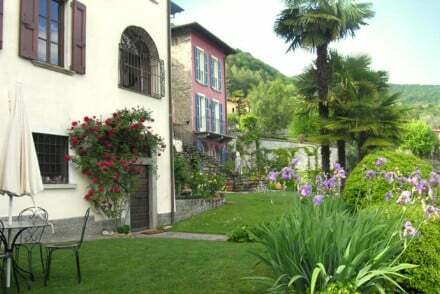 Beautiful, colourful, verdant Tremezzo has long appealed to travellers: it’s been praised since medieval times as being a place of eternal spring. Bright with the colours of azaleas, camellias and rhododendrons. The best places to stay in Tremezzo have bountiful gardens and spectacular views onto Lake Como. The most memorable of all Tremezzo’s villas is the Villa Carlotta. Right on the water, this 17th Century villa has beautiful botanical gardens and spectacular interiors worthy of the Prussian princess they first belonged to. Walk on the lakeside of Tremezzina and enjoy a view of Bellagio. Take a taxi boat across the lake and admire the picture perfect landscape. Hike along the Greenway del Lago, a pleasant 10 km walk which starts from Colonno and gets to Cadenabbia. Wander through the pretty streets of the town and stop in quaint cafes along the way. Most of the best places to stay in Tremezzo have lake views of some kind or another. 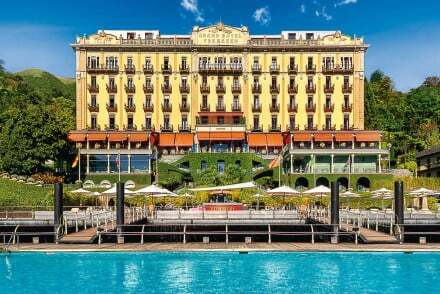 The Grand Hotel Tremezzo, which is right beside the lake, also has a pool which floats upon it, so it’s hard to beat that kind of a view. Fly to Milan airports, either Bergamo airport, Linate or Malpensa. Frequent trains run from Milan to Como from where it is under an hours drive to Tremezzo.